The Ministry of Social Policy of Ukraine posted exact number of Internally Displaced People (IDPs) registered in Ukraine by February 1 2016. 1 704 937 persons have left temporarily occupied territories of Lugansk and Donetsk Regions and also from Crimea annexed by Russia and moved to Government-controlled areas of Ukraine. Most of them stay in cities of liberated parts of Lugansk and Donetsk Regions, many went to Kharkiv Region and further to the Center and to the West of Ukraine. Among those people there are 1 346 276 families from Donbass and Crimea. 714 867 addressed to social institution for financial support, 669 487 families already got such support. 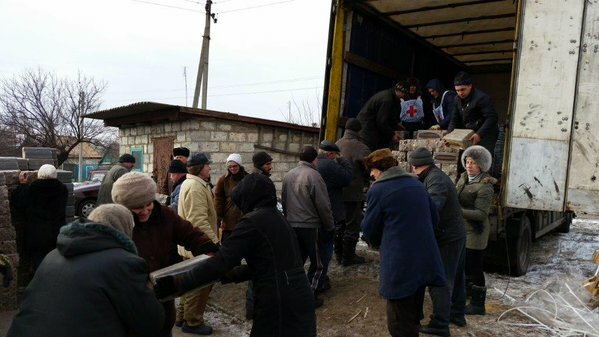 Many international humanitarian organizations also provide their support for people who were hurt by the war in the East of Ukraine. During 2015 International Committee of Red Cross delivered about 350 thousands of food packages.